This Weekend: The NYC Urban Tattoo Convention Hits Brooklyn! This weekend, just down the street from Tattoosday's home in Brooklyn, the 4th Annual NYC Urban Tattoo Convention will be held in Industry City (233 37th Street). Unlike previous years, when it seemed that this show ran the same weekend as the Roseland event, it's occurring separately, and I am attending tomorrow (Saturday), so feel free to find me and say hi. "Showcasing local and international urban artists, the UTC will feature numerous talented and renowned tattooists, including Shane O’Neil, Bili Vegas, Tripple X Jess, King Afa, Kay Kutta and Gino. The work of these artists, many of whom have appeared on the reality television series Best Ink and Ink Masters, will be on display. Select artists will also offer onsite tattooing." I'm looking forward to attending, and will be posting in the days following the show, plus throwing out the occasional live tweet. What's unique about this show is that it "aims to empower tattooists from diverse cultural heritages to showcase their art and tattooing skill sets." Visit their website for full details about the show, which is under way today. "I was travelling ... in Indonesia and I met some people that had heard about him [Sontang]... and decided to go find him. So, it was kind of an adventure in itself, just like finding him ... the directions were like oh, take this boat to this donkey cart and ask for this guy ... 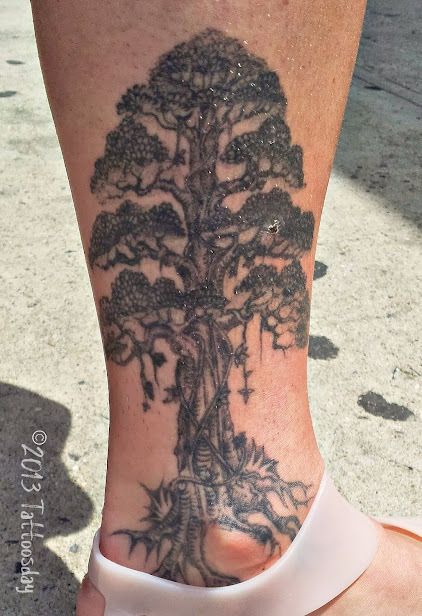 I knew I wanted a tree, but I didn't really have a design, so I get to his house and he invites me in for tea and breakfast, and didn't even ask what I was there for, and then eventually was like, Oh, do you want a tattoo? He'd never done a tree before, but he had a garden of bonsai trees ... so we walked through them and talked about the different trees and I pointed out features of different ones that I liked ... He drew a five-minute sketch and then he just did it free hand ... he drew a few marks on my leg with permanent marker and then just did it ... [with] multiple layers of shadowing." It's a pretty cool tattoo, and one of those that has an interesting story behind it, as well. Thanks to Anna for stopping to talk with me and sharing her Indonesian souvenir with us here on Tattoosday! It's so easy to be spoiled by reporting on spectacular tattoos, that one often loses sight of the fact that even rudimentary designs can also be really interesting. "It's just some original artwork I did maybe about 16, 17 years ago. And I decided a couple years later to get it done as [a tattoo] ... it's kinda like a reference of a hard time and what anxiety or a panic attack would look like ... if you had to visualize an anxiety attack or panic attack ... some of the things that I use in this tattoo ... the compressions of one arm wrapped around itself, kinda like an octopus ... some tension here with the lines on the [side of the] body ... tension here ... where the mouth would be ... so being unable to speak ... same thing with the blacked out eyes .... tension with the thoughts, which is the nails going in and of course, you know, head on fire ...I call it the Dead Mermaid but it's really about anxiety." I really like the concept and how well Asia explained the manifestation of anxiety in his original artwork. 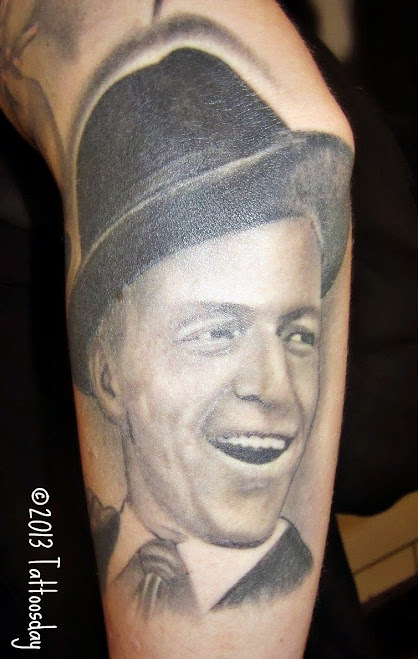 He had this done a while back at FunCity Tattoo on St. Mark's Place in Manhattan. 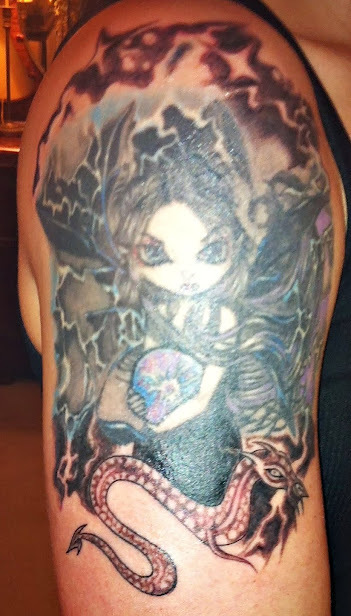 Thanks to Asia for sharing this cool tattoo with us here on Tattoosday! Hey Jude, Thanks for Sharing Your Tattoo! Sometimes, we don't get the whole story here on Tattoosday, but we share anyway, despite our best efforts to get the goods on the work we capture. This tattoo belongs to Jude, who I met, briefly, on the subway platform at West 4th Street last month. She got off the downtown local train and, before I could get the whole story, she had boarded a downtown express train, and was gone. I did manage to track down the artist, Kira Hosler, who inked this piece while she was at Moon Sheen Tattoo in the West Village. Kira has since moved upstate, and has acknowledged that she did this piece. That's about it - so we are left to wonder what inspired this tattoo. I like the country and city duality of the work, seeing it as the rat in a hollowed out log in a park in the city (New York, I presume). The sunflower illuminates the metropolis. Jude, wherever, you are, thanks for sharing this tattoo with us!
" I got this tattoo to sort of represent freaks over running the city and 'taking it back' so to speak. Hence the little rat and plants growing over buildings. Also, I just really like rats." Thanks for the update, Jude! Announcing Sailor Jerry Event Tonight at Tammany Hall! 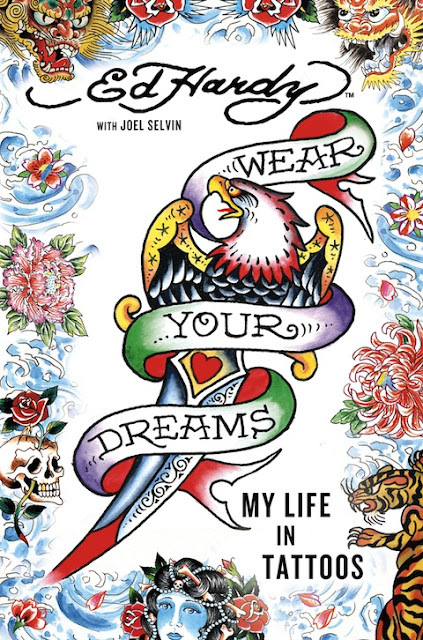 The good folks at Sailor Jerry are hosting another event tonight in New York and, yes, there's a shot you can score a free tattoo from Matt Van Cura of Invisible NYC. Word is that there will be only a handful of Sailor Jerry tattoos available, so best to RSVP and get there early. You might just be one of the lucky recipients! Tattoos by Matt Van Cura of Invisible - First Come , First Served. I can't make it, but feel free to tell me all about it and share your tattoo, if you get lucky! When I asked her about these lines, "Out of suffering have emerged the strongest souls; the most massive characters are seared with scars," she explained it was a quote from Khalil Gibran. The original source is unclear, as it is also attributed to a writer named Edwin Hubbell Chapin. When I asked her why she chose this quote, she elaborated, "I'm going through a divorce right now ... it was a lot of emotional abuse [and] this represents that." She had that done by an artist at Three Kings Tattoo in Brooklyn. She got this done by a visiting artist named Rebecca at Brooklyn Made Tattoo. This, too, has its roots in her past problems with her marriage. "Yoga," she told me "brought a lot of comfort and peace" to her during these difficult times. The flowers and the om on the petal represent that. The photo is a bit blurry, but you can see the differentiation between the older, larger piece, and the new work that Mr. Kaves from Brooklyn Made added to both the top and bottom of the tattoo. The original work she credited to Vic at Wicked Garden Tattoo in Clearfield, Utah. Erica is a photographer, whose work can be seen on her website here. Thanks to Erica for sharing her tattoos with us here on Tattoosday! Ten years ago, only tattoo aficionados knew who Ed Hardy was. I still remember the moment I saw an Ed Hardy shirt for the first time. On Sixth Avenue in Manhattan on a hot, sunny day. Within months, it seemed they were everywhere. Honestly, my introduction to Hardy was an amazing volume he edited that was based on his correspondence with Sailor Jerry. As an up-and-coming tattoo blogger, I learned more from that volume, than any other. When all is said and done, there are two Ed Hardys - the great tattooer who learned from the legendary Sailor Jerry (and others), and the brand. The Brand turns any self-respecting tattoo artist's smile into a frown, but the wave of Hardy clothing and paraphernalia cannot drown out the artist's contribution to the craft. "Today there have been nearly one billion Ed Hardy retail items unleashed on an unsuspecting but highly receptive public. That staggering sum makes no more sense to me than it does to you." What follows is a veritable feast of tattoo history. As one would expect from a biography, we watch Hardy grow up from a school boy in Southern California with a makeshift tattoo shop for his friends where he would draw designs om classmates, to his days as an aspiring art student heading to Yale, up to the present day, where Ed Hardy is known to more people as a brand. I'm always fascinated by the stories of tattoo artists and their craft, back before the "reality" show mentality crashed into our culture in the last twenty years. You really don't get the sense of the hard work and difficulties faced by artists nowadays, where a contestant spot on Inkmaster gives one more recognition than true masters of the art form, who have been slaving away, somewhat anonymously, for decades. It only seems fitting that we are getting the Ed Hardy story now, as tattooing is an industry that continues to grow by leaps and bounds. It's a way for people who are truly interested in the history of the modern American tattoo to discover how pivotal this one artist is. The book is a great read. Hardy's narration, with Joel Selvin, is matter-of-fact and delivered poignantly. He just tells it like it is, and the reader is rewarded with a narrative of an amazing life, from humble beginnings to the last tattoo. I particularly liked the tales of Hardy's early days, working with Sailor Jerry, his interaction with Phil Sparrow, and his experiences tattooing yakuza in Japan. Not only can you grab Wear Your Dreams, which is officially released today, but Hardy is on a modest tour, starting tonight in New York, popping over to California, and ending in Honolulu next month. You can see the full schedule with venue details here. Last week at the Sailor Jerry free tattoo event at The Gutter in Williamsburg (recounted here), I caught up with Ashley after getting my shark tattoo and before she had her cherry tattoo inked. I had met her earlier in line, as she was among the first couple dozen people to arrive and she had been telling us about the Sailor Jerry anchor she received from last year's event. That's a narwhal, in case you were wondering, and this Arctic whale is particularly well-known for its tusk. It almost seems a mythical creature, but they are, in fact, real. "My friend who's with me today, Kyle, we were at a Christmas party and she was drawing Sharpie animals on us and she drew a Sharpie narwhal on my arm, so I wanted to get something to remind me of that night ... it was a really good night!" The tattoo came to life at the hands of John Reardon at Greenpoint Tattoo Company in Brooklyn. Reardon is no stranger to Tattoosday. He was the master behind one of my all-time favorite posts from 2009, here. 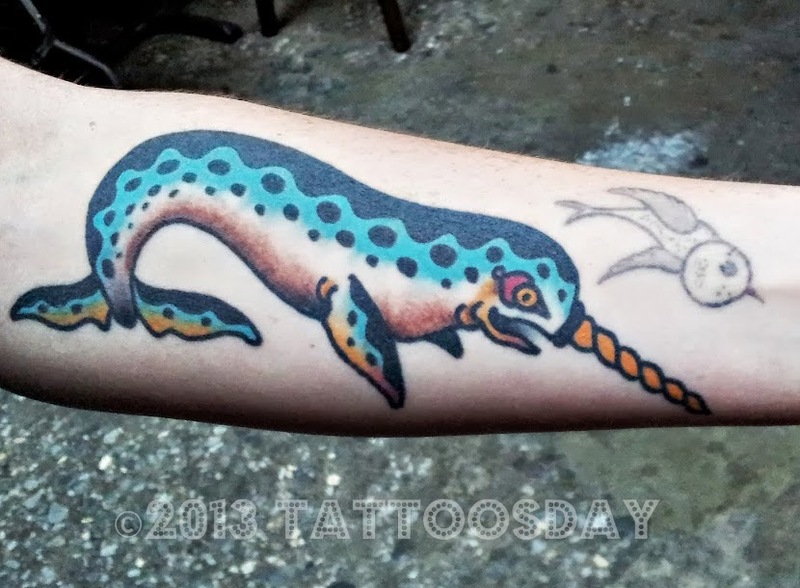 Thanks to Ashley for sharing her narwhal with us here on Tattoosday! If Sailor Jerry were alive today, he'd be a ripe 102 years old. If you don't know who Sailor Jerry is, you likely don't know much about tattoos. It's an oversimplification, but Norman "Sailor Jerry" Collins, who died in Honolulu in 1972, is the godfather of modern American tattooing. Based in downtown Honolulu, Sailor Jerry was credited for "modernizing" American tattooing, and was a mentor to Ed Hardy, among others. 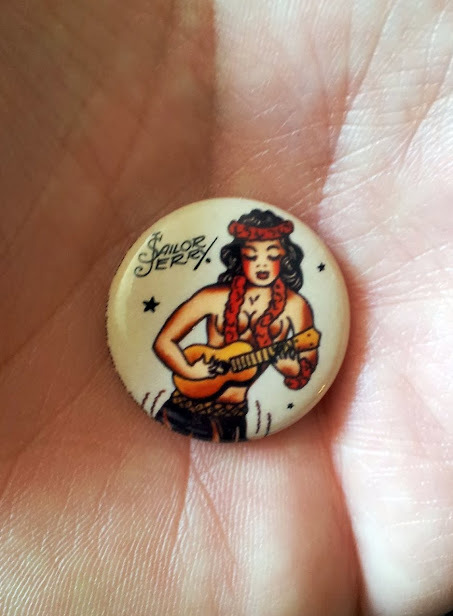 Sailor Jerry has become a brand, and the savvy folks who are behind the brand, are masters at celebrating the name of Sailor Jerry, and distributing Sailor Jerry rum. Just check out their website if you want to know more. On Tuesday, I learned that, as they have in years past, the good folks at Sailor Jerry were celebrating the master's birthday with a free tattoo giveaway. This multi-city event was landing in Brooklyn, which piqued my interest and, since I was not working on Wednesday, I thought I'd give it a shot. 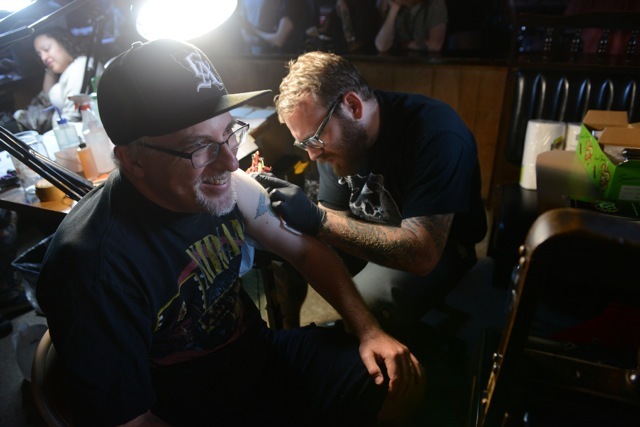 Now, I've been to events with bargain-priced tattoos (see my Friday the 13th event reporting here), and I wasn't willing to show up at dawn, but aimed for a 12:30 arrival at The Gutter, the Bowling Alley/Bar in Williamsburg that was housing the event. When I turned the corner, I was prepared for a horde of ink-seeking enthusiasts. There was no one in sight. In fact, the venue didn't even open until five p.m. I decided to walk over to Manhattan Avenue and say hi to the good people at over at Three Kings Tattoo, where I ran into Alex McWatt and met Jason Monroe, one of the artists who would be doling out the Sailor Jerry ink. After grabbing a quick bite, I headed back to the Gutter where, much to my chagrin, there was someone standing outside, waiting. I was happy to learn, however, that he was merely having a cigarette in the shade. It was 1:00, the bar didn't open until five, the event didn't start for six more hours, and I was alone. Not only was I first in line, I was the line. I was hoping to pass the time by interviewing passing tattoo aficionados, but some technical issues limited my true interactions. Nonetheless, I was joined by a woman named Gloria after about an hour, and she was kind enough to provide me with an extra beach chair. 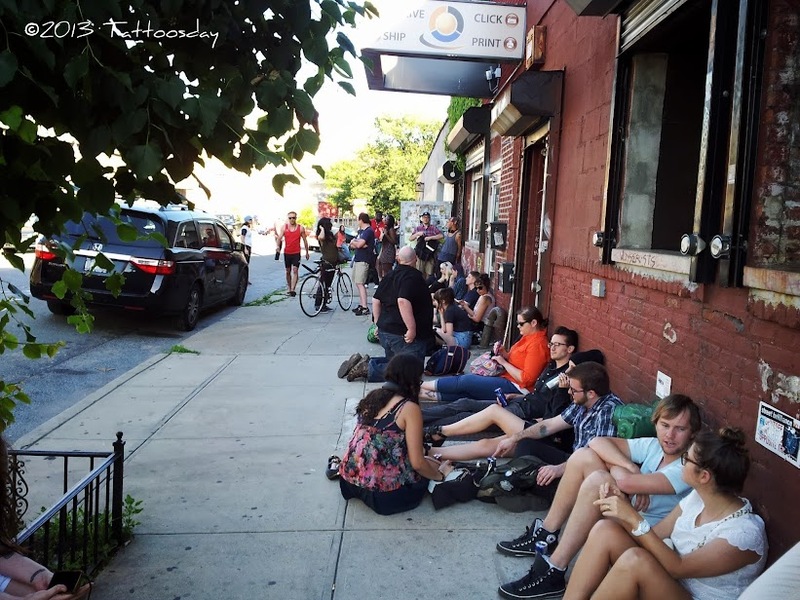 After four p.m., the line had grown to a handful, and by five, when the Gutter opened, we had a couple dozen people waiting along North 14th Street. Ever the skeptic, and not knowing how the event would be organized, I deputized myself with gathering a list of names, in arrival order, of the handful of us that had arrived so early. No one likes to stand in line for hours only to see late arrivals pop up out of nowhere and jump to the head of the class. Plus, it killed time and allowed me to pass out Tattoosday cards, plugging the site. Once the Sailor Jerry rep arrived and politely told me the list (now 29 people long) wouldn't be needed, I stopped running back and forth collecting names. Several times before the event started, people came out explaining the rules, handing out drink tokens and pins to redeem for free hot dogs. I was the first one in, so things moved pretty quickly. 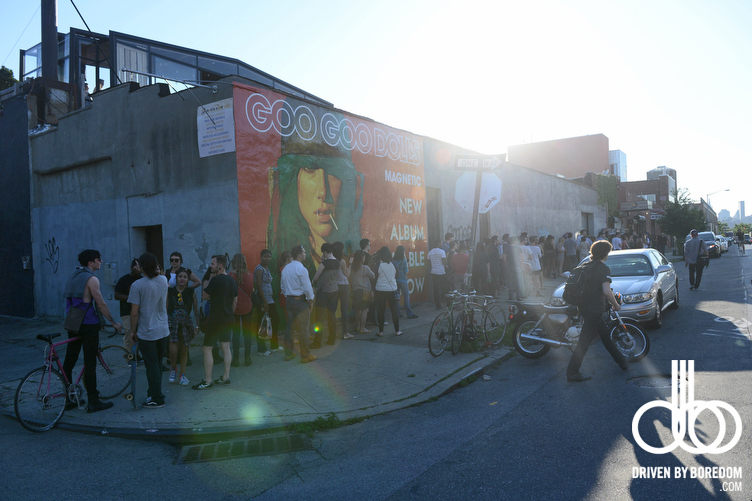 Those of us in line were trying to do the math - how were three artists going to do 102 tattoos in a 7-hour span? "They're small," I was told by the woman running point from Three Kings, "and we have a good system in place." Still, that's four to five tattoos per tattooer every hour, allowing time to break-down and set-up after each piece. If you look closely, you can see the five options of Sailor Jerry flash that were part of the promotion. Whichever design your dart was closest to, that was the design you got. I would have been happy with anything, except perhaps the cherry, so I aimed low and hit the left side of the bottom monkey - Bingo! I wanted the shark most of all! Alas, the burden of being first is not having the time to think about where to put the tattoo - which is ironic considering I had six hours to think about it. Jason Monroe was waiting for me, poised to launch the event with the first tattoo of the night. "Where do you want it?" he asked. I froze and stared as I considered all the options. He broke the spell, "C'mon, arm or leg?" These events usually limit location to limbs because they are generally the fastest parts to tattoo. I blurted out "arm" and sat down. After a brief discussion we agreed to put it up flush against my bigger tattoo on my upper left arm. It seemed to fit there, although if I had to do it over again, I might move it. Then again, I might not. Jason asked me what color I wanted and I did what I always recommend - defer to the artist. Let them use their best judgment to determine what looks best. He worked quickly and efficiently as I stared out the windows of the Gutter at some of the people still standing in line. I did learn that Jason had just recently moved up to Three Kings from Atlanta, where he worked at Ink & Dagger Tattoo Parlour. Afterwards, I wandered over to the bar and traded in my token for a Sailor Jerry rum and coke, and wandered about, talking to a lot of the folks I had met earlier in the day, many of whom were waiting patiently for their turn. Matt Van Cura, from Invisible NYC was tattooing, as well, and I later learned that he was also in charge of VIPs, who had some additional options to choose from. I chatted with the photographer, Igor, who did a brief write-up and posted over 100 photos from the event over on his website Driven By Boredom. Did I mention there was free bowling, too? I did meet some really great people and, who knows, maybe you'll see some of their tattoos in the days to come. I did snap a cool photo on a young lady named Ashley, who shared a particularly unusual tattoo. Thanks to the awesome folks at Sailor Jerry - do check out their website here. There's a lot of great tattoo history there, and they are involved in some pretty great ink-related events. 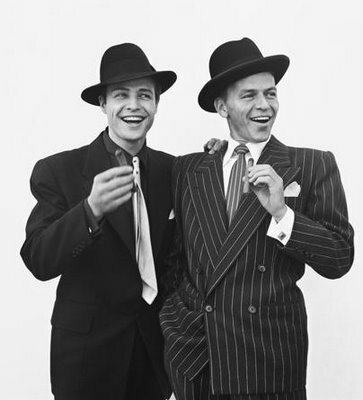 You can sign up for e-mail alerts and check out some of their archival photos and video. And thanks to the artists and staff at Three Kings Tattoo, as well, with a special "mahalo" to Jason Monroe, for my giving me my first Sailor Jerry tattoo. "It was just inspired by this old vintage jewelry that I found ... it had Frankenstein and his bride on it ... I just kinda wanted to mimic exactly what I saw ... I liked that it was more like a motif ... for me it was translated better into a textile print." I reached out to the tattoo artist, Adam Korothy at Magic Cobra Tattoo Society in Brooklyn, and asked if he had anything to add about the piece. He noted that the work was based on Ashley's own design and that "the imperfections were intentional to mimic the silk screen look of the original artwork." Normally, I don't often ask about tattoo placement on our contributors, but I was curious about this particular piece. Ashley doesn't have a ton of tattoos, and you generally don't see a lot of folks going to the neck without having filled up their arms first. Yes, I'm guilty of generalization, but I had to ask, "Did you have any reservations about doing it in such a visible place on your neck?" Without hesitation, Ashley replied, "No, it's like my ideal location ... I've always liked that area for tattoos." Thanks to Ashley for sharing these unusual tattoos with us here on Tattoosday, and to Adam at Magic Cobra for his contribution, as well! Alex credited Adam Barton, who works out of Santa Cruz in Samuel O'Reilly's Tattoo Parlour, although, when this piece was done, it was out of the New Skool Tattoo Collective in San Jose. This piece, with the banner "TRUTH" is a Straight Edge tattoo and, he said, it was Barton's first hand tattoo. Without speaking to the artist himself, I have to say for someone who didn't normally draw and ink hands, his work is commendable. Then again, this is Adam Barton we're talking about. Incidentally, we featured a piece by Adam Barton back in 2009 here. Thanks to Alex for sharing this cool tattoo with us here on Tattoosday! One of the things we don't talk about a lot here on Tattoosday are the friendships I have developed over the years with people I meet on the street. I'd say less than 10% of the people I interview become friends with me, but it is great to see their collection grow over the years. Dan is a prime example - I met him first in 2010, and he shared this piece, done by his cousin Guido Baldini. A year later, he updated me with the additional work that was done to the tattoo here. 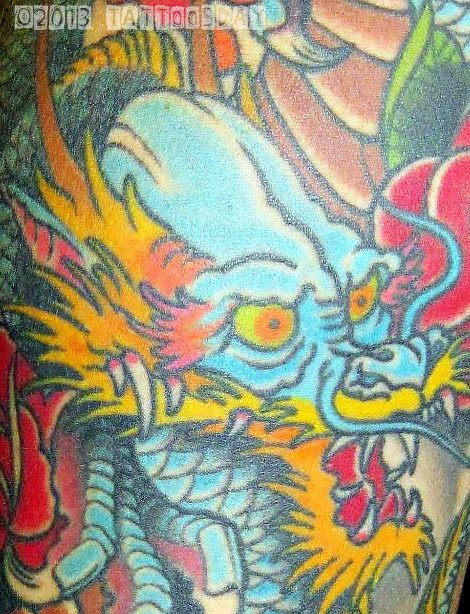 Dan told me he specifically asked Guido for the dragon to be blue, which is not generally a traditional color for Japanese dragons. 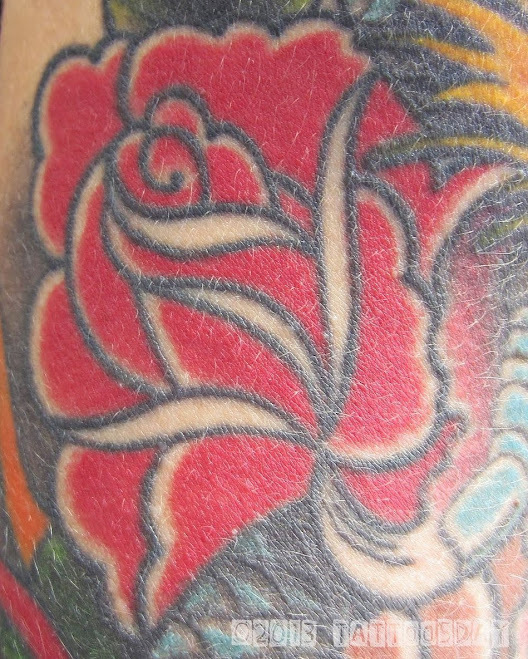 The red roses, as well, are generally not associated with dragon tattoos. 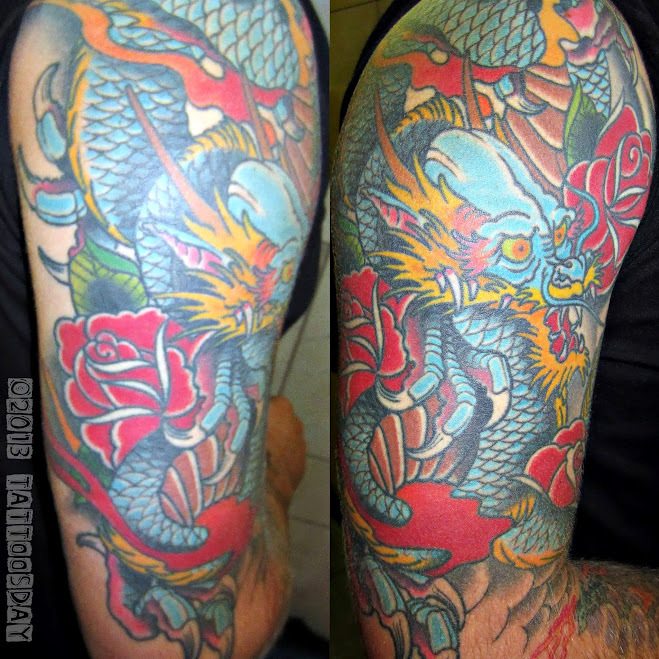 Yet Dan loves this non-traditional take on the classic Japanese dragon. 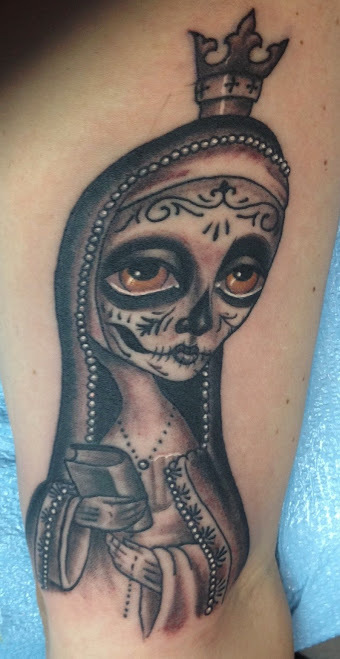 Check out more of Guido's amazing work at his new shop in Santa Fe, New Miexico at Lost Cowboy Tattoo here. Thanks to Dan for sharing his latest work with us here on Tattoosday! More Tommy Montoya Portraits on Kate! Last year, I met Kate in Penn Station and, what luck! She had some amazing work by acclaimed artist Tommy Montoya (known to many via NY Ink). See those portraits here. Much to my surprise, I ran into Kate a year later, just last week, on the subway platform in my neighborhood out in Brooklyn. Initially, I couldn't place her - it is easier to remember people when I see them around the same location, and here we were, a year and a borough apart! It's always amazing to see work from a great artist like Montoya, and I thank Kate for once again sharing her tattoos with us here on Tattoosday! 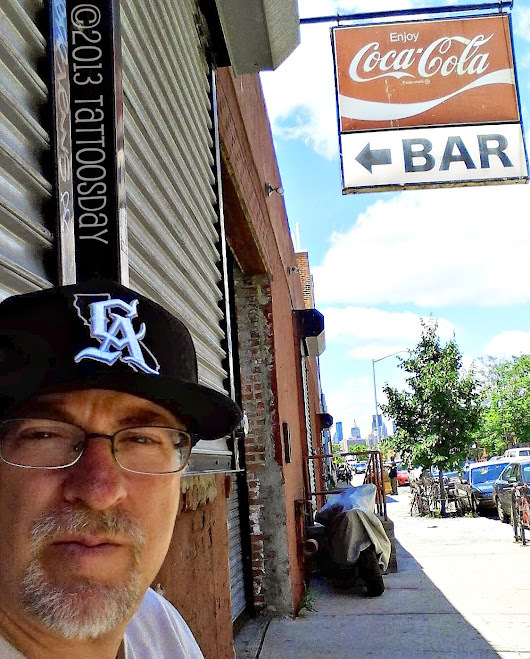 Last month, Tattoosday reader Amy was the lucky winner in our Brooklyn Tattoo t-shirt giveaway. We struck up a transcontinental conversation, and she offered to share some of her work with us, in what we call a little "tattoorism." She credited the work to Tony Carey at Hold Fast Tattoo in Prescott, Arizona. Amy explained, "it's based on the original artwork of Brandon Maldonado's "Our Lady of Merciful Fate" which was featured on the Zac Brown Band's album Uncaged." She added, "I was looking for something to honor my grandmother and I had been wanting a day of the dead tattoo ... when I saw this album cover I fell in love with Brandon's art." Thanks to Amy for being a top-notch Tattoosday reader and generously sharing her ink with us here on the site! The Monday after the New York City Tattoo convention last month, I was a bit sad, because I knew that finding quality tattoo work like that which I saw at Roseland Ballroom was going to be a lot more challenging. I was mulling this over while standing outside of my local laundromat in Bay Ridge, Brooklyn, when I noticed a woman in front of Starbucks, across the street. She had an armful of black-and-gray ink, so I wandered over to introduce myself, and wow, was I in for a treat. Amada, which means dearly loved, was Anna's grandmother, who loved roses, and who passed away around the time that she got the tattoo. There are three of the flowers, because that is Anna's lucky number. Thanks to Anna for sharing these lovely roses with us here on Tattoosday!